After *that* incident with Kim Kardashian and the appetite-suppressing lollipops earlier this year (shudder), it has become more important than ever to start conversations about healthy and balanced diets, as well as fuelling yourself appropriately for exercise. I feel that this is an especially important thing to do online, as for a lot of people, the internet is a major source of insecurities about their bodies. Seeing airbrushed swimsuit models on your Instagram feed, or scrolling through pics your favourite celebrities with teeny tiny waists can be extremely bad for our mental wellbeing, not to mention our physical health, if those internet-inspired insecurities turn us towards a programme of disordered eating and over exercising. Like pretty much everyone else on the planet, I've hated how I look and I've wanted to change everything about my body more times than I can count. However, now I'm able to recognise that the best kind of body is a healthy body, and that a healthy body looks different on different people. After all, if we all looked the same, the world would be a pretty dull place, am I right? I definitely feel the healthiest and the happiest when I'm engaged in a regular programme of exercise. The stiflingly hot weather lately has curtailed my exercise regime a bit (who has the motivation to run when it's 30 degrees outside?!) but I'm now getting back into running with a passion. Alongside this, I've been putting a lot of effort into making sure that I'm fuelling my body with the right kind of foods for fitness and today, I thought I'd share the fruits of my research. You ready? Deciding what to eat to best set you up for exercise can be pretty intimidating, especially when a quick Google search sends you down a rabbit hole of buzzwords like tracking macros, superfoods, and calorie counting. It's enough to put anyone off! To make it all sound a little less scary, I've broken it all down into three key areas, for fuelling yourself before, during, and after your workout. Don't just take my word for it though! So as not to be a Gwyneth Paltrow type touting wellness advice without any formal qualifications, I've also included links to official sources to back up what I'm saying, so that you can fact-check everything I've said for yourself. Carbohydrates are your pre-workout friends. Your body will digest complex carbohydrates slowly, giving you a longer supply of energy. This makes them ideal for consumption before you start exercising. When most people think about carbs, they often think of foods such as bread, potatoes, and pasta, but they're also present in nuts, grains, seeds, vegetables, and fruits. Many health and fitness sources suggest that eating carbohydrate-rich foods before exercise improves performance and could even allow you to work out for a longer duration or higher intensity. Eating carbs before your workout also tells your brain that you are well fed, which in turn helps increase muscle retention and growth. Did you know that the cells which make up your muscles are almost three quarters water? If you're low on fluid, you’ll definitely feel it. Through simply sweating and breathing, you can lose up to two litres of water per hour while working out, which can cause dehydration if you're not taking on enough fluid. A simple test to tell if you're appropriately hydrated during exercise can be done just by pinching the skin on the back of your hand. Pinch the skin lightly, holding for a few seconds and see how long it takes for the skin to return to normal when you let go. If it takes a little while to do so, you need to drink some more water. In addition to this, if you've been working really hard, you may need to replace electrolytes too. You don't just lose water when you sweat but essential minerals such as electrolytes as well. Choosing a refreshing drink that's high in electrolytes such as coconut water will promote hydration as well as keeping you topped up with those essential minerals. The first thing that springs to mind when you mention exercise and protein in the same sentence is a huge, muscular body builder eating protein bars by the bucketload to maintain his bulk. However, protein is important for everyone when working out, whether you're lifting up a truck World's Strongest Man style, or simply going for a jog. Eating protein after exercise prevents muscle breakdown and promotes growth and regeneration, increasing the impact of your workout. So, scarfing down a high-protein meal after exercise is a good strategy for boosting recovery and subsequent performance. Vegetables such as sweetcorn, broccoli, spinach, Brussels sprouts, asparagus, artichokes, and sweet potato contain the most protein. If you're tempted to skip a meal before heading to the gym, just think of it this way: if you don't put petrol in your car, you can't expect it to go anywhere, so don't expect that of your body! Even if you're in a rush, breakfasting before you start exercising can be done in minutes if you have the right tools in your arsenal. 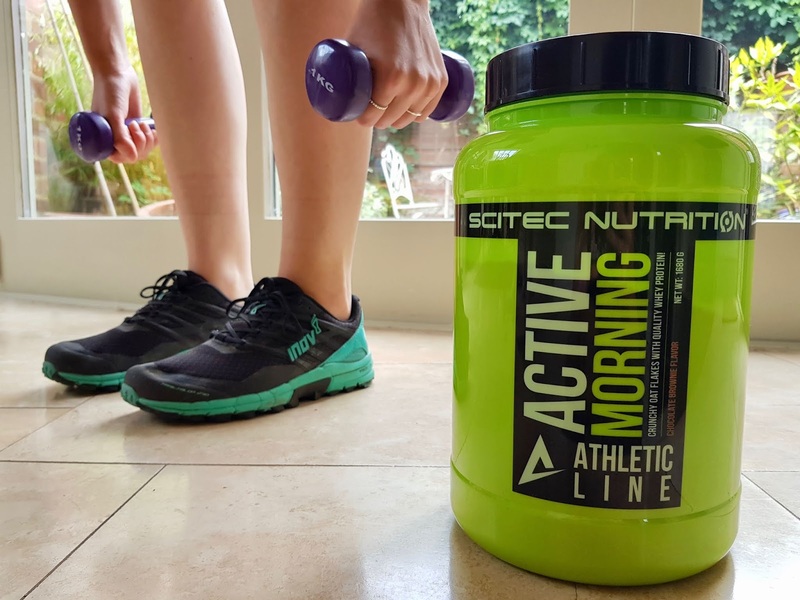 Lately I've been trying out quick and easy breakfast shakes from Scitec Nutrition's brand new Athletic Line. The Active Morning shakes that I have been sampling are high in protein, free from artificial colours, and couldn't be easier to make. They're also really tasty, with the chocolate brownie flavour being my favourite. I mix my flakes into some Alpro chocolate flavoured soy milk which makes them extra delicious! Mixing up a shake takes less than 5 minutes and I was really impressed with how full they kept me until lunchtime - definitely great fuel for a morning run! Although the tips above are general guidelines, it's also very important to listen to your own body. For example, it is generally recommended that you wait at least 1-2 hours after a large meal before you take any exercise, but I personally prefer to wait longer. Having anything too heavy in my stomach while I'm exercising just makes me feel sick and has a negative impact on my performance, so I adapt my meals around this on days when I go for a run. When it comes to food and drink, everyone is different so just see what works for you - there is no one "right" way to fuel yourself! 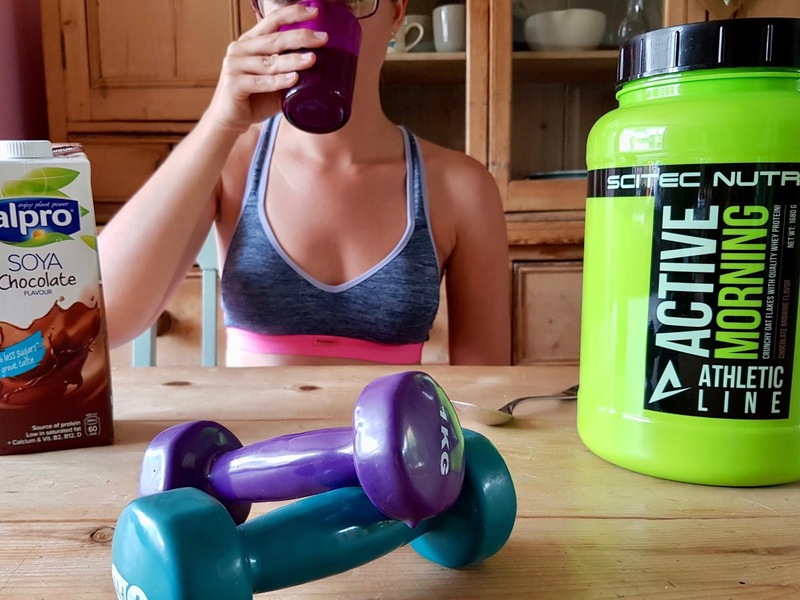 In the spirit of getting people talking about healthy ways to look after your body when exercising, I asked other bloggers in the community to share how they make sure that they're fuelled to the max and raring to go for a workout. Here are their fantastic responses! 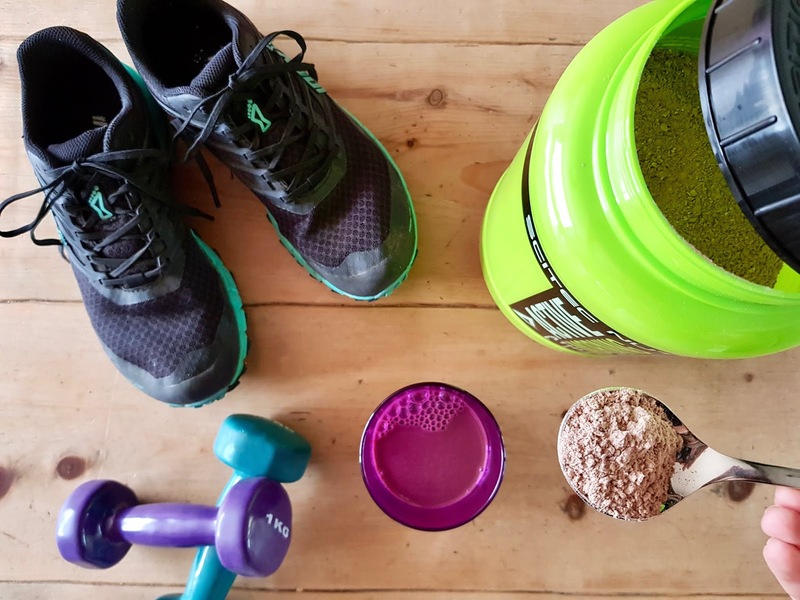 Laurie: In the morning before the gym, or after a run to make sure I recover, I make my favourite protein smoothie recipe - it tastes like a Snickers bar! It's made from chocolate protein powder, spinach, almond milk & peanut butter. Great balance of protein, carbs and fat! Plus it tastes amazing! Tiffany: When I'm low on energy, I love Bounce balls - gluten free protein bars! They're delish! Cat: When I'm going out for a longer run I always fuel with porridge, blueberries and peanut butter. It works wonders! Afterwards I always have a protein shake and plenty of water. Francesca: CARBS! Eat them about an hour before exercise - the energy you get from carbs lasts a while. Also plenty of water before, during and after exercise. Nickie: I'm a runner and before a race I fuel with slow releasing energy foods such as porridge or bananas. Electrolyte drinks and gels are useful on long runs too but I've had to learn how and when to take these so they have maximum effect. Now it's over to you - keep the conversation going down in the comments! 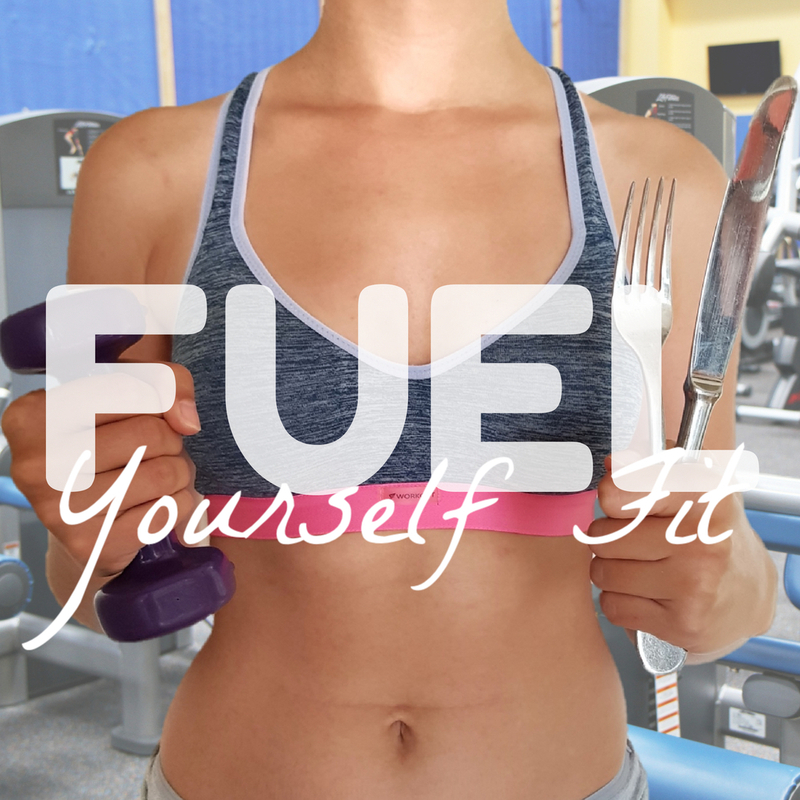 How do you fuel yourself for fitness? What are your favourite meal and snack choices for when you're working out? Let's openly talk about eating well and show Kim K where to shove her not-so-luscious lollipops!